Places limited to 6 people each day. 9.45am to 5.00pm. All tools and wood provided. Cost £80. Bring a packed lunch. Courses are for for beginners and improvers, for those with no carving experience or if you’ve carved a little and what to improve. 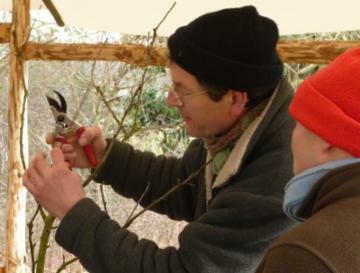 We’ll cover safe use of knife and axe for carving and you’ll make a butter knife and a cooking spoon or serving spoon to take home with you. 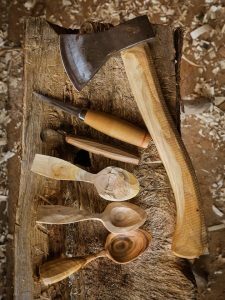 Advanced course is for those who can carve safely and looks to improve your technique, the quality of your finished spoons and in particular the design and making of eating spoons.